We hold ourselves, and our contractors to the highest of standards. Our crews receive extensive training from the best in the industry and follow all IICRC s500 standards. We require all of our technicians to be trained, certified and insured so our valuable customers can breathe easy once we arrive on scene. 475,500 structure fires occur in the U.S. per year. Fires cause $7.9 billion in property damage per year. The truth is that we can’t stop accidents from happening whether that’s from mother nature or our own mistakes. 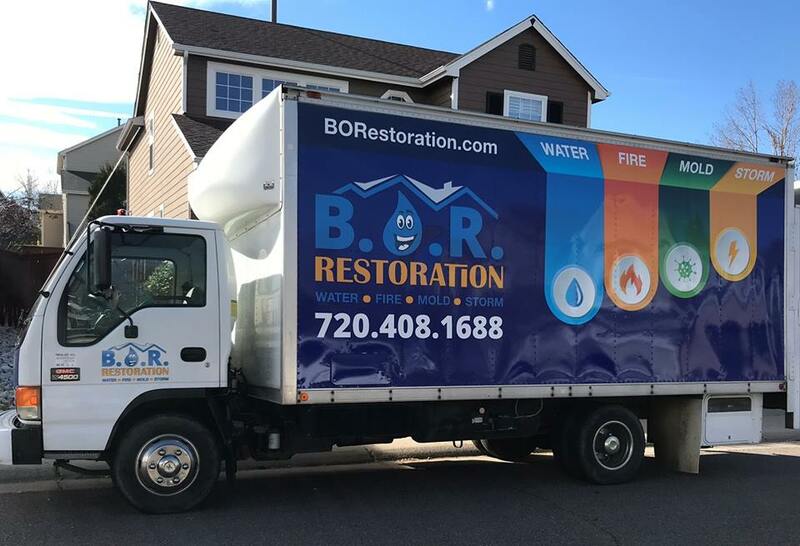 There’s always something to be done in the Restoration industry and you get the satisfaction of helping people everyday. 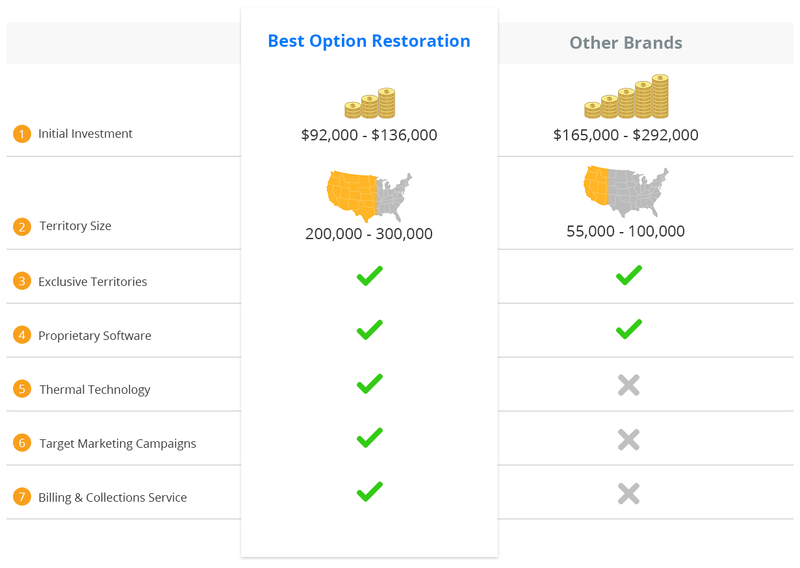 Join Best Option Restoration and never let two days be the same again. We want you to focus on building your business instead of getting bogged down with administrative issues such as dealing with insurance companies and bookkeeping. Our system makes it easy to run your business. Our streamlined business model is far less expensive to launch than the vast majority of franchise opportunities in the market today. Brick and mortar franchises such as restaurants require investments of hundreds of thousands of dollars and can take up to a full year to build out and open. Our experienced executive team is standing by to support our franchise owners through their business journeys. You will receive extensive training as well as ongoing support. Exciting Change Do you want to own an exciting company where every day is a new adventure? You’re not confined to a desk as a Best Option Restoration franchisee. Business Partnership You can be in business for yourself, not by yourself, with unlimited support. Supporting our franchise owners is the backbone of our success and we look forward to working with you. We are happy to help you navigate the franchise discovery process, answer your questions, and support you with the resources to pursue your goals.